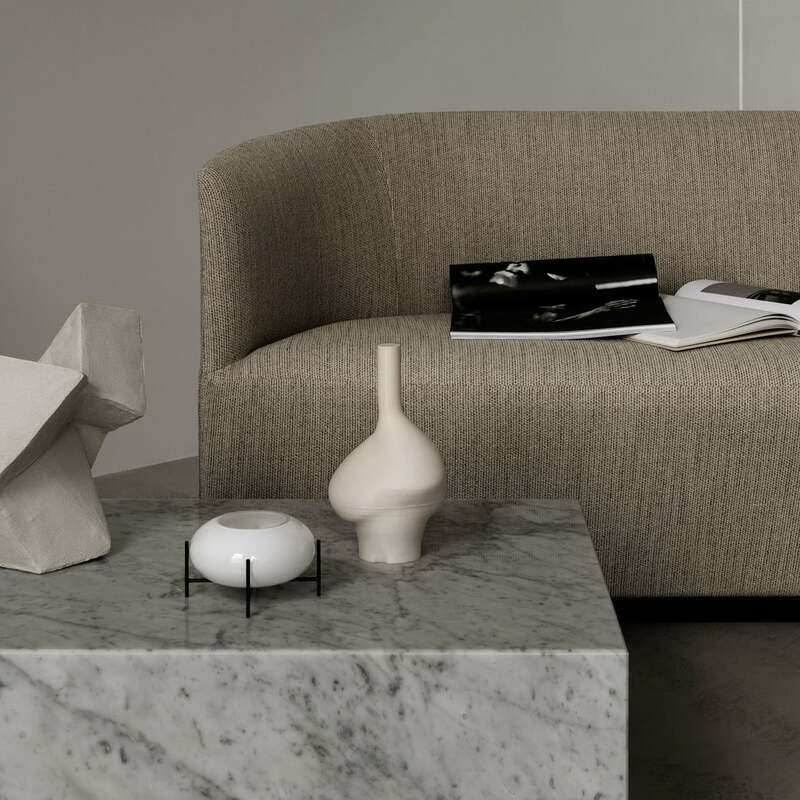 The Plinth coffee table by Menu is a massive rectangular marble plinth. Whether for coffee, biscuits, books or vases - the coffee table is an ideal surface because it is simply designed and makes accessories look particularly beautiful. The design of the Plinth series is characterized by the plinth with sharp edges and the cuboid shape. The internal structure of the table is made from Acacia wood and is completely surrounded by 1.5 cm thick marble slabs. Thanks to the robust and massive marble, the side table is of course suitable for outdoor use and becomes a sculptural object in your own garden. When the weather gets bad, the side table should be brought back inside. The coffee table by Menu is available in various colors. 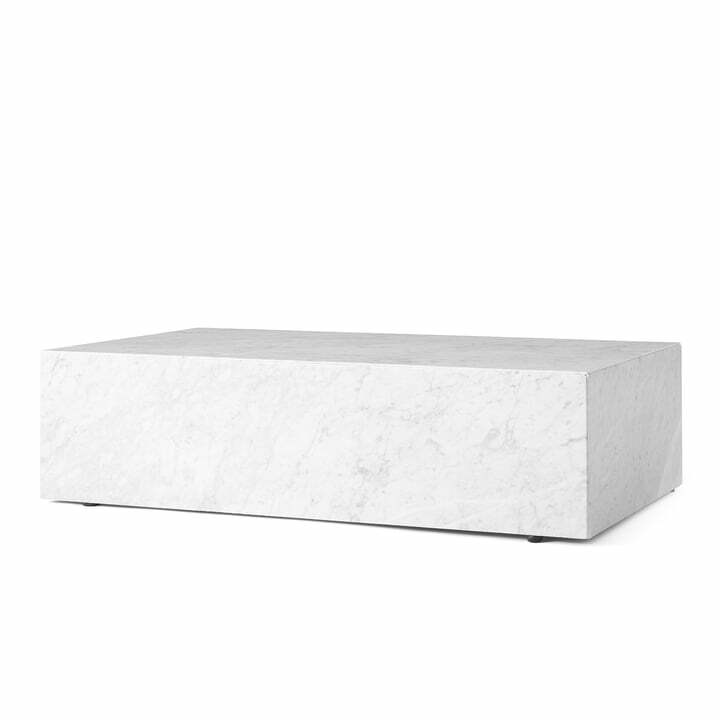 The Plinth coffee table by Menu is a massive marble rectangular plinth. The design of the rectangular block is simple and understated, and is characterised by the sharp corners and edges. 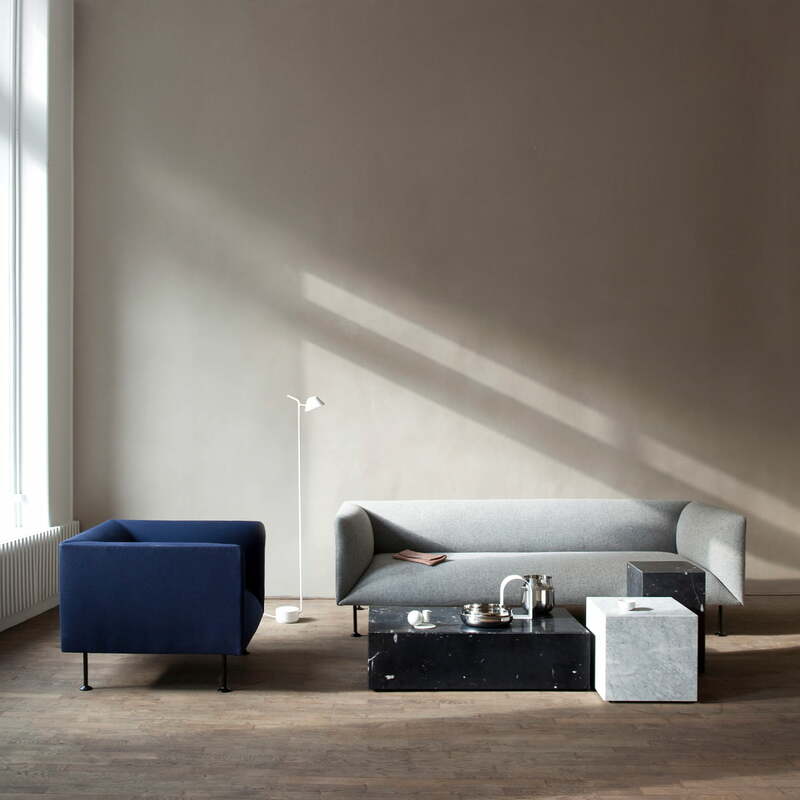 The oblong-shaped Plinth coffee table goes perfectly with the square Plinth Cubic sidetable. 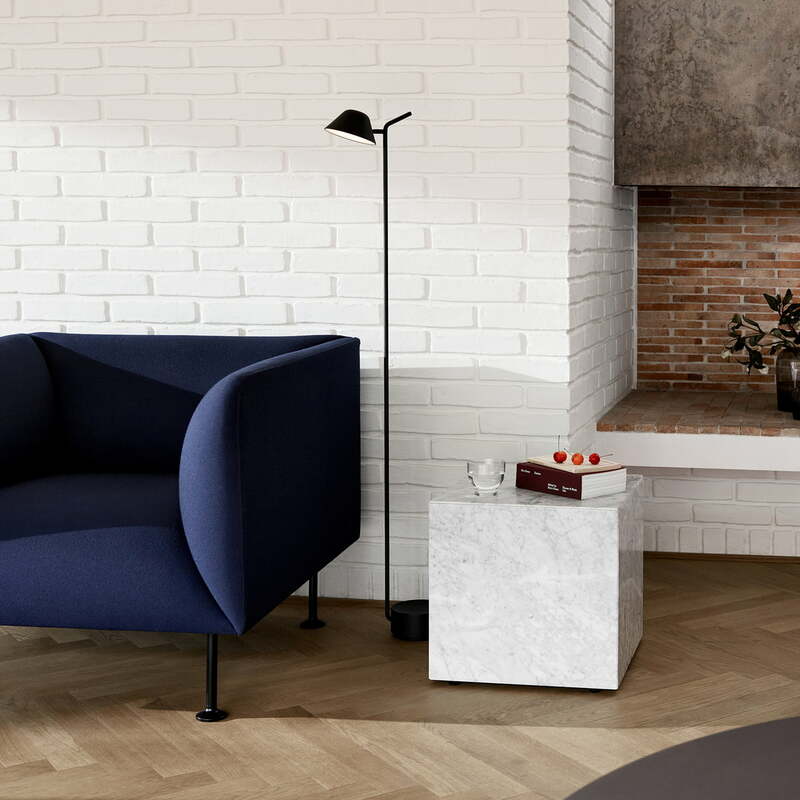 Both tables are made of marble and serve as storage space in front of your sofa. The Plinth Cubic side table by Menu is made of white marble. The cube with the simple, elegant design, as well as the rectangular coffee table are an ideal storage place right next to your sofa. Échasse Hurricane tea light holder from Menu in the ambience view. The tea light holder consists of opal glass and is carried by a filigree brass frame.